Van Doren Waxter is pleased to present James Brooks: Familiar World 1942 – 1982, an exhibition of small-scale paintings by the masterful Abstract Expressionist James Brooks. On view from May 3 through June 23, 2017, this historic survey traces the evolution of the artist’s career over a period spanning four decades. James Brooks (1906–1992) began his career as an artist during the Great Depression, moving to New York City in 1926, where he worked as a muralist under the Works Progress Administration and studied representational painting at the Art Students League. His career as an artist was briefly disrupted when he was drafted to serve in the United States Army as an Art Correspondent in the Middle East in 1942. Brooks’ time in the Middle East directly coincided with the rise of Abstract Expressionism as an established movement in the United States. Upon returning to New York in 1945, Brooks turned away from representational painting toward abstraction, drawing inspiration from his friendships with peers such as Jackson Pollock, Philip Guston, and Bradley Walker Tomlin. During the mid-1940s, Brooks’ work was largely influenced by the synthetic Cubism of Picasso and Braque, which is most apparent in the composition of his early paintings, such as Bad Intentions (c. 1942-43) and Christmas Fantasy (1946). Over time Brooks became increasingly inspired by the Surrealists, in particular their preoccupation with using art as a means of accessing the unconscious. While paintings such as Z (1954) may suggest to the viewer landscapes or other natural forms, Brooks claimed, “It never occurs to me in painting that I am taking either from nature or manufacture; everything pools into one source, I suppose, and is unconsciously drawn on." Popularly known for his restrained approach to creating rhythmic, Abstract Expressionist paintings, Brooks’ most inventive practice developed out of a chance discovery, when he accidentally dripped paint onto the reverse of an absorbent Bemis cloth to discover fragmentary forms had seeped through on the front. Finding these stains to be more visually compelling than what was originally painted on the front, Brooks would employ this method throughout the his career, applying paint onto the reverse of absorbent cloth and squeeging the paint with cardboard. Utilizing similar working methods to those of his contemporaries—such as the spontaneous drip paintings of Pollock—Brooks adapted his process through a range of more mannered techniques. Rather than dripping paint directly onto an entire canvas in the manner of Pollock, Brooks would sparingly drip paint onto only a small region of the canvas, at times vertically rotating the canvas to force drips in different directions. In works such as Aamo (1981), he used brush strokes to create the illusion of drips so convincingly that it is difficult to distinguish between the real drip and the artificial. Navigating these two extremes––the semblance of instantaneous gesture on one hand and a controlled mediation of materials on the other––Brooks’ work is entirely distinct from that of the other Abstract Expressionists. James Brooks: Familiar World 1942 – 1982 presents a unique view into the history of Abstract Expressionism through the vantage point of this crucial figure. James Brooks was born in St. Louis, MO in 1906. He studied art at the Southern Methodist University from 1923-25. In 1926, Brooks moved to New York City, where he studied at the Art Students League with Kimmon Nicolaides and Boardman Robinson. Brooks married Mary MacDonald (1938-42). He served in the United States Army in the Middle East as an Art Correspondent, with headquarters in Cairo and traveled in North Africa, Palestine, and Egypt (1942-45). He married the artist Charlotte Park in 1947. James Brooks died in East Hampton, NY in 1992. Museum exhibitions include James Brooks at the Dallas Museum of Art: A Celebration, Dallas, TX (2006); Rediscovering James Brooks: WPA Murals & Other Figural Works, Brooklyn Museum, Brooklyn, NY (1997); James Brooks: A Retrospective, Portland Museum of Art, Portland, ME (1983); and James Brooks Retrospective, Whitney Museum of American Art, New York, NY (1963), traveled to Rose Museum, Brandeis University, Waltham, MA; Baltimore Museum of Art, Baltimore, MD; Walker Art Center, Minneapolis, MN; Washington Gallery of Contemporary Art, Washington, D.C.; University of California Art Galleries, Los Angeles, CA. Selected museum collections include Solomon R. Guggenheim Museum, New York, NY, Metropolitan Museum of Art, New York, NY, National Museum of American Art, Washington, D.C., Brooklyn Museum, Brooklyn, NY, Whitney Museum of American Art, New York, NY and Yale University Art Gallery, New Haven, CT.
Labels: art gallery, fine art, New York, painting, Van Doren Waxter Presents "James Brooks: Familiar World 1942 - 1982"
Chicago Underground Film Festival >> CUFF Announces Full Screening Schedule! 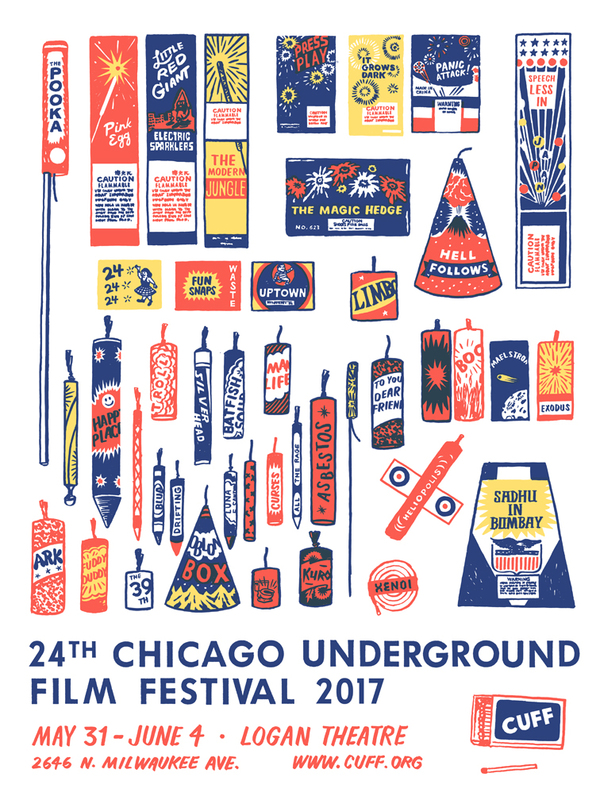 The Chicago Underground Film Festival is proud to release the full screening schedule for its 24th annual celebration of independent, experimental and documentary films from local Midwestern filmmakers and around the world. This year's festival features 24 films from Chicago filmmakers (4 features and 20 shorts), 12 world premieres, 5 North American premieres and 3 films from IFP Chicago members: Jesseca Ynez Simmons' Emerald Ice, Luke Boyce's The Pooka and Laura Stewart's Drifting Towards the Crescent, which will open the festival on Wednesday, May 31. All the Rage, directed by Michael Galinsky, Suki Hawley and David Belinson, was featured in a Chicago Sun Times article yesterday written by Bill Zwecker. All the Rage is screening at CUFF on Saturday, June 3 at 6pm, and tickets are already close to selling out. Lock in your advanced tickets for All the Rage, and all CUFF screenings now by visiting our website HERE. 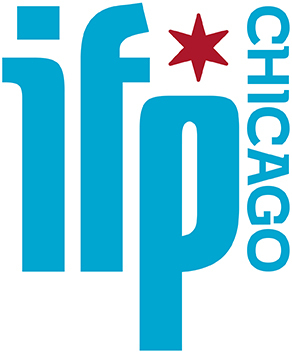 IFP Chicago members: You receive 15% off of CUFF passes! Want to get your hands on one of our limited edition, signed and numbered screen-printed 24th Annual CUFF posters? There are only 39 left, so don't wait until the festival to or they will definitely all be gone! $30 poster + $10 S&H. CLICK HERE TO PRE-ORDER YOURS! 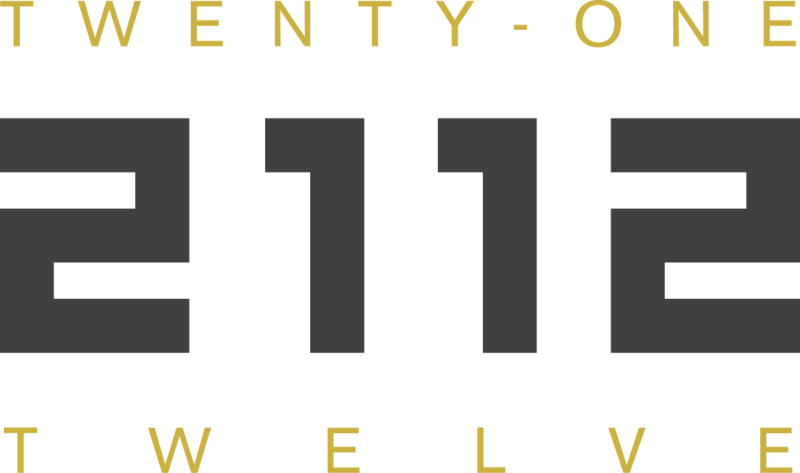 Stop by the IFP Chicago booth this Saturday during 2112's Immersive Tech Summit! Join us on Saturday at this hands-on, intensive weekend features over 30 speakers, three rooms, exploring virtual, augmented and mixed reality conceptualization, production & post production, branding & marketing case studies, trends, best practices & standards, and market adoption. 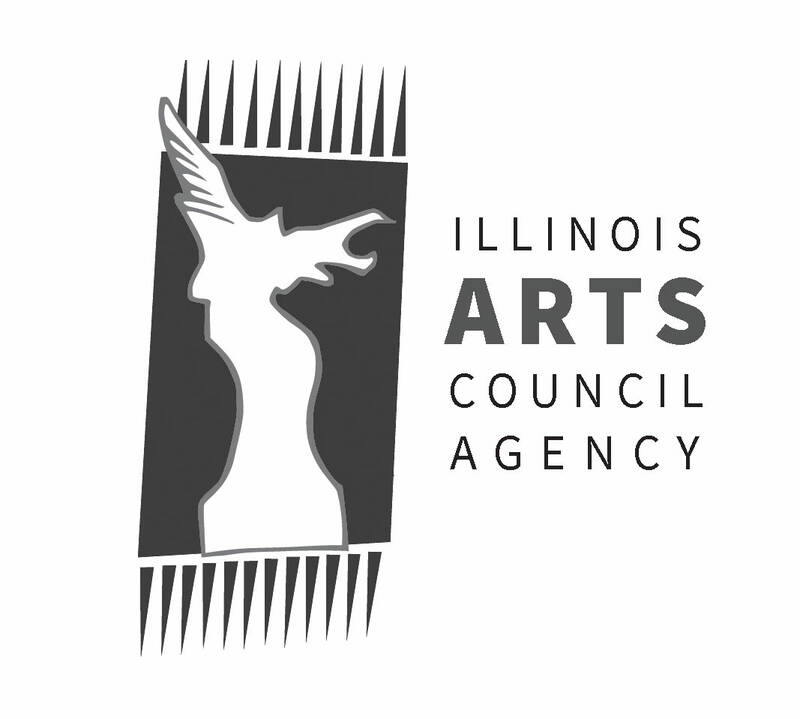 Events include a 48 Hour VR Film Challenge where participants make a 360° movie in only 48 hours, a presentation on navigating the IL Film Production Tax Credit Program with IL Film Office, an introduction to Live 360 VR Video workshop, a talk on Holographic Reality with Hologram USA and panels like VR/AR as a branding/advertising strategy. IFP Chicago Members: Take $10 off of BOTH the Immersive Tech Summit price & the 48 Hour VR Film Jam challenge! Join IFP Chicago today to take advantage of this and all of our members-only discounts and services! 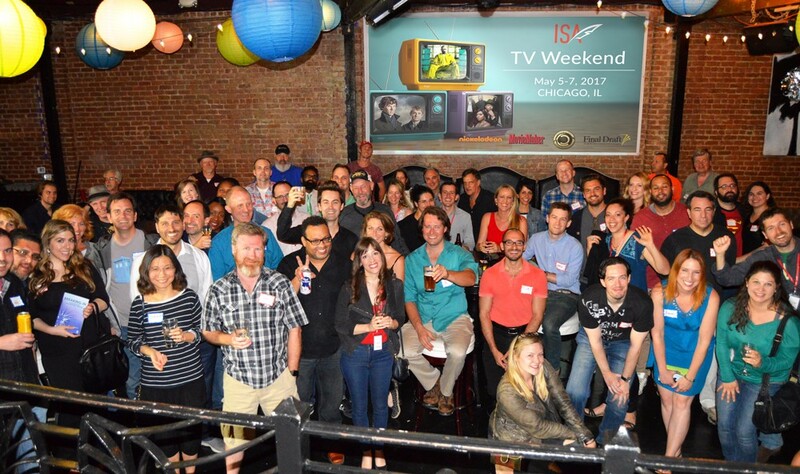 The biggest names in the industry, who have worked with and developed writers for 20th Century Fox, Warner Brothers, Disney, NBC Universal, ABC TV, WGA and more, are coming to Chicago! The weekend will teach writing memorable characters, creating a strong internal story, developing a pilot execs can’t ignore, specific pitching skills and techniques, getting an agent or manager, launching and building a TV career and how to book writing assignments and get staffed on a show. 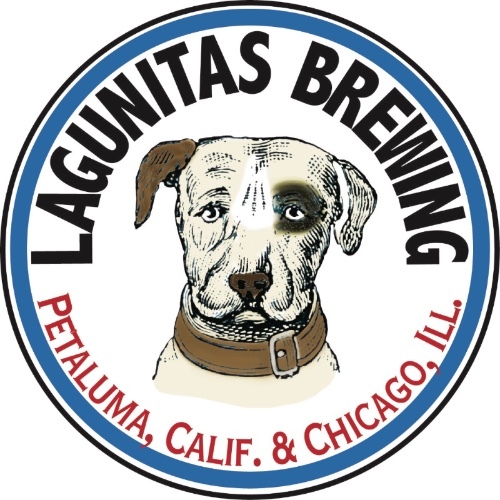 IFP Chicago Members receive $75 off of registration! Join IFP Chicago today! When you select IFP Chicago (Independent Features Project- Midwest) on your Amazon Smile account, a percentage of your purchase is automatically donated to IFP Chicago and will directly support our efforts! The best part is that you can use Amazon Smile year round! IFP Chicago is a 501 (c)(3) non-profit organization committed to the idea that independent film is an important art form and a powerful voice in our society. We provide information, community, education and professional development opportunities for independent filmmakers, industry professionals and independent film enthusiasts. We encourage quality and diversity in independent production and assist filmmakers at all levels of experience in realizing their unique vision. 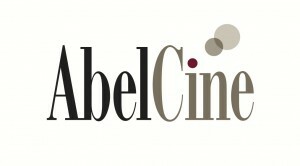 To find out about upcoming programs & events please visit ifpchicago.org. Illinois' growing momentum in advancing the adaptive golf movement, which makes playing golf a reality for persons with special needs, will be on center stage Friday, June 9 at the Freedom Golf Association Annual Golf Outing at Cog Hill Golf & Country Club in Lemont, Illinois. The Annual Golf Outing teams up special needs golfers with able-bodied golfers and serves as an inspiring showcase for the great strides that have been made in the adaptive golf movement. An estimated 200 people-50 foursomes-are expected to participate in this annual tournament, described as a "fun gathering of FGA friends" that is organized by the Freedom Golf Association. Able-bodied and special needs golfers from the Chicagoland area, age 10 and above, are encouraged to take part in this tournament, organized as a shotgun, best ball tournament played on Cog Hill's #2 course (Ravines). The tournament registration and warmup period runs from 6:30 a.m. to 7:30 a.m. After announcements at 7:45 a.m., the shotgun tournament begins at 8 a.m. Following the tournament, a cocktail reception, awards ceremony and luncheon begin at approximately 2 p.m. If the weather is inclement and the tournament is cancelled, rain checks for play at Cog Hill will be distributed, or a new date will be announced at the event. Individuals can join a foursome (four able-bodied golfers plus a special needs golfer) for $200; full foursome packages are available for $700. The reception, awards ceremony and luncheon is included in the price. Those who would like to cheer on the golfers from the gallery and attend the reception and lunch can reserve their seat for $50. There will be raffle awards, event awards, plus a live and silent auction. Golf outing reservations can be made at https://campscui.active.com/orgs/FreedomGolfAssociation#/selectSessions/1844101 . Volunteers are welcome! Anyone who wishes to help run the tournament June 9 should call FGA at 630-455-6018. Adaptive golf is the term that encompasses a growing number of local, state and national initiatives to make golf available to persons who have physical, intellectual, or sensory challenged individuals. Included among these are "wounded veterans," many of whom suffer from PTSD. To make it possible for people with disabilities to play golf, a variety of adaptive strategies have been adopted. Among them are Single Rider carts for the non-ambulatory, adaptive golf clubs, golf courses that have been made more accessible, changes in rules as written by the USGA. Golf swings, grips, and prosthetics may be also needed to allow the disabled to play the game. On a national level, the United States Adaptive Golf Alliance (USAGA) was formed in 2014. Presently there are 17 chapters across United States, speaking with one voice, and bringing adaptive golf to over 10,000 disabled individuals annually, of which approximately 23% are wounded veterans. According to the 2010 U.S. Census, there are 57 million disabled persons in the country. 18 million of them want to play golf, according to the PGA Foundation. This makes supporting organizations such as Freedom Golf Association very attractive and rewarding for organizations, as there is a large number of potential golfers among those with special needs. The growth of the adaptive golf movement underscores the need for more funds to support these types of programs. FGA receives support from thousands of donors. Major golf and sports-related companies and organizations who have supported FGA include FootJoy, Titleist, Bridgestone, Ahead, Under Armour, BMW Championship, Encompass Champions Tour, and the Tiger Woods Foundation. Corporate sponsors and partners include Hinsdale Bank & Trust, Mo lex, Comcast, AlphaGraphics, Rytech, Buddig, RIC, GE Capital and, ATI. Foundations that support FGA include Amvets, the First Non-profit Foundation, the National Alliance for Accessible Golf, Wadsworth Golf Charities Foundation, Kids Golf Foundation, and The First Tee of Greater Chicago. Golf facilities that partner with FGA include Cog Hill Golf & Country Club, Downers Grove Golf Club, Naperbrook Golf Course, Meadowlark Forest Preserve Golf, Rich Harvest Farms, White Pines Golf Dome, MQ's Golf Dome, Buffalo Grove Golf & Sports Center, and River Bend Golf Club. 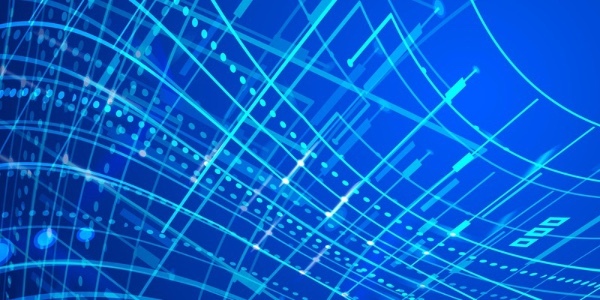 FGA works with corporations and organizations to tailor their support. FGA acknowledges sponsors through website exposure, media, newsletter and more. For more information about sponsorship opportunities, please contact Sally Ruecking, Director of Development and Personnel, by email or by telephone at 630-455-6018. Freedom Golf Association (FGA), a 501(C)3 non-profit organization, is the leading adaptive golf organization in Illinois and is a charter member of the United States Adaptive Golf Alliance. FGA was founded in July 2012 by Edmund (E.Q.) Sylvester. E.Q. is a director of the Western Golf Association (WGA), member of the United States Senior Golf Association (USSGA), and a triple amputee. FGA is dedicated to bringing joy and a sense of freedom to the special needs community through their inclusion in the game of golf. FGA believes that all special needs individuals deserve a chance to accomplish the same things as any others do and work towards bringing a positive transformation to their lives. FGA contributes to the positive development of those with special needs through the magic of golf. Based on its growing understanding of the needs of disabled golfers, the FGA has developed a ground-breaking Adaptive Golf Enhancement Program™ that increases the golfing ability of special needs golfers. FGA's golf coaches learn this six-step process, which helps them to better understand and enhance the capabilities of special needs golfers. To assist coaches and special needs golfers in determining what adaptive measures would be most beneficial, FGA recently invested in what they call a "personal swing sensors and computerized program" to 1) measure the disabled golfer's initial swing path and limitations; 2) develop an appropriate exercise program to improve flexibility and range of motion; and 3) to chart the golfer's progress, using the initial swing measurements as a baseline. In 2016, FGA provided more than 1,300 adaptive golf lessons. In the same year, 110 special needs golfers went out and played on the course. Ten individuals became trained FGA Adaptive Golf Coaches, growing the total number to 42. 79 cents out of every dollar received goes to FGA's special needs golf programs and events. FGA has helped 40 Chicagoland courses become accessible to the disabled community. For more information about the Freedom Golf Association, please visit the official website at www.fgagolf.org. Contact FGA by phone at 855-342-4465 or 630-455-6018, or by email at playgolf@fgagolf.org. Donations to Freedom Golf Association can be made at www.fgagolf.org/donate.html. Follow FGA on Facebook at www.facebook.com/FGA4Golf. Follow FGA on Twitter at www.twitter.com/FGA4Golf.